Along with assessing the risk of species becoming globally extinct, it is also important to assess species at regional and national levels, where conservation policy is often implemented. 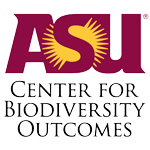 Red Lists that focus on specific geographically or politically defined areas are of particular importance in aiding national reporting to international conventions with specific biodiversity targets, such as the Convention on Biological Diversity (CBD) and the Sustainable Development Goals (SDGs). Many regional and national Red Data Books and Red Lists have been published around the world. Some of these are based on classification systems developed and adopted within individual countries, whilst others have used modifications or older versions of the IUCN Red List Categories and Criteria. However, an ever-increasing number of regional and national Red Lists are using the current IUCN Red List Categories and Criteria. 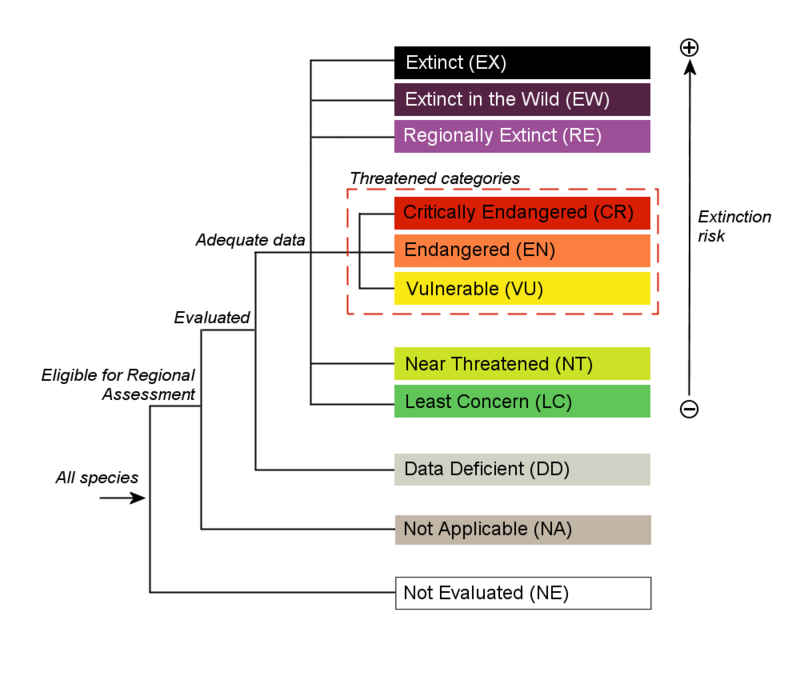 The IUCN Red List Categories and Criteria were developed for assessing extinction risk at the global level, considering the global population of a taxon. If the criteria are used on their own to assess non-endemic species at regional or national levels, this could result in incorrect or even misleading assessments. Recognizing the need for coherent guidelines for the application of IUCN Red List Categories at regional and national levels, IUCN developed the Guidelines for Application of the IUCN Red List Criteria at Regional and National Levels (also known as the "Regional Guidelines"). The Regional Guidelines are best-practice guidelines outlining the preferred approach to be followed when applying the IUCN Red List Criteria for regional or national level assessments. 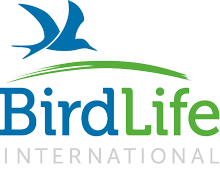 They highlight various issues that may need to be addressed when compiling a regional or national Red List, such as how to deal with taxa that have been introduced into the area, that occur only marginally within the region, or taxa that migrate to the region during non-breeding seasons. The Regional Guidelines also bring in additional Red List Categories specifically for use for regional and national Red List assessments: Not Applicable (NA) for taxa that occur in the region but have been excluded from the regional Red List for a specific reason; and Regionally Extinct (RE) for taxa that are now extinct from the region but still occur in its natural range outside of the region. Using the Regional Guidelines helps to ensure that regional and national Red Lists are more comparable, and promotes the sharing of species information between neighbouring countries. It also allows an easier flow of information between the regional and global levels. A regional approach to identifying threatened species complements the global Red List and provides information at an appropriate scale for international conservation treaties (for example, the Bern Convention) and legislation (e.g., the EU Habitats Directive) that have a regional focus. The Regional Guidelines are available in the following IUCN-recognised versions: English, Spanish, French, Arabic and Japanese. For more information about national Red Lists published by countries around the world, see the National Red List website. A product of the National Red List Working Group (NRLWG) and the National Red List Alliance (NRLA), this website is hosted by the Zoological Society of London and provides access to 269,799 (August 2018) national and regional assessments (of species, subspecies & varieties) from more than 76 countries/regions. IUCN coordinates two regional assessment initiatives, for the European and Mediterranean regions. Regional assessments have also been undertaken for marine species occurring in the Persian Gulf and the Gulf of Mexico.